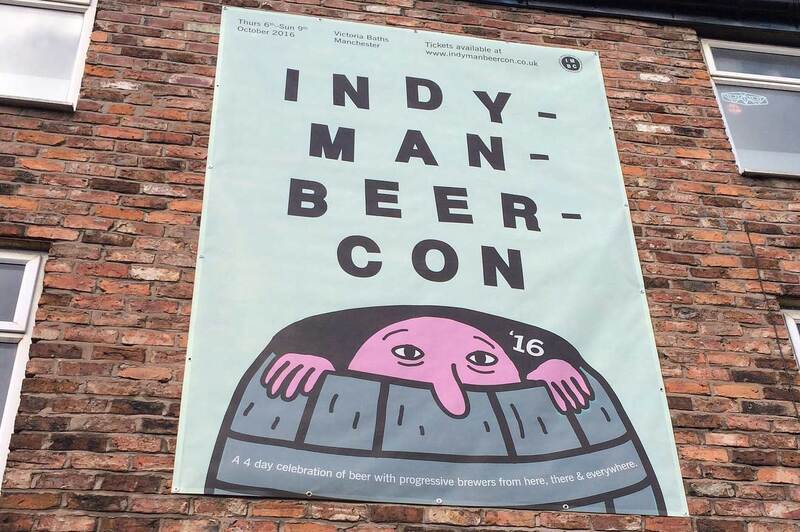 At the start of October, I was very fortunate to make the journey up to Manchester to the Indy Man Beer Convention at the historic and beautiful Victoria Baths. I was attending (working) for the weekend as part of ‘Team Fourpure’ who were hosting a room for the duration as well as many other mini events throughout the weekend such as tastings and live blogging. Friday played host to a lively trade session during the afternoon and the venue was electric with consumption of much anticipated ‘one off’ collaboration brews, old friends catching up and new partnerships being sparked. The other sessions played host to the beer loving public who came in their masses and queued feverishly to get a taste of some of the magical elixirs that had been created by some the best breweries in the world both domestic and international. MagicRock’s ‘Hypnotist’, Cloudwater’s ‘DIPA v8’, Wild Beer Co’s ‘Trendy Juice’ and Siren’s ‘VIPA’ were certainly some of the highlights amongst so many. Sunday began with a tour of the Cloudwater brewery with head honcho Paul, fascinating and thought provoking as expected! Like Glastonbury, this festival is famous for a reason, it sets the benchmark for many others and must be experienced first hand by all! As the Sunday sun set I ventured back down to London with a beaming smile, major fatigue and a whole lot more friends! Thanks and shouts out to the Fourpure, Siren, Yeastie Boys & NZ Beer Collective for making it something truly special!